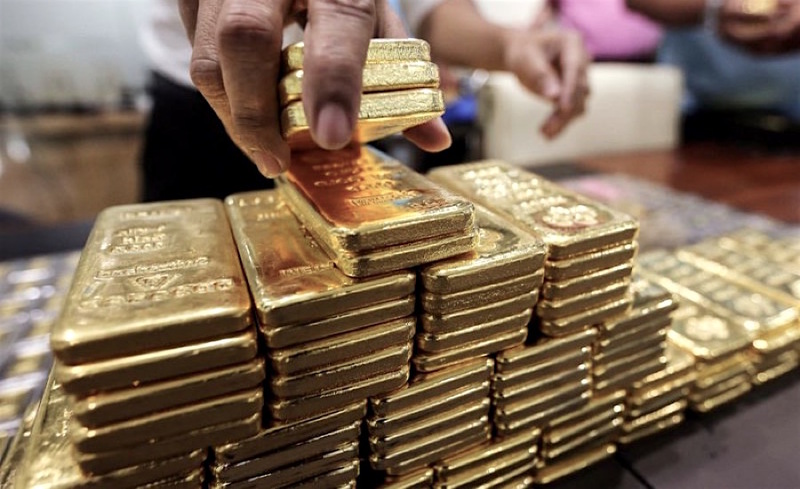 MUMBAI/BENGALURU, April 27 (Reuters) – Physical gold demand lacked vigour in most Asian hubs this week amid a slight dip in prices, while the yellow metal switched to a premium in India for the first time in over 1-1/2 months due to a correction in local rates. "Many retail consumers made purchases last week during the Akshaya Tritiya festival. Now retail buying is weak," said Daman Prakash Rathod, a director at MNC Bullion, a wholesaler in Chennai. "Jewellers were waiting for a price correction. As prices are falling, they could start replenishing inventory in coming weeks," said a Mumbai-based dealer with a private bullion-importing bank. "Demand in China is slow, not too much activity," said Ronald Leung, chief dealer at Lee Cheong Gold Dealers in Hong Kong. Premiums of 50 cents to $1.50 an ounce were being charged in Hong Kong, mostly unchanged from last week's 50 cents-$1.20. "Not too many people are interested (in gold) because of the strong dollar. It's too expensive for people to buy," said Peter Fung, head of dealing at Wing Fung Precious Metals in Hong Kong. "This week started quieter. But in the last two days gold prices came off because of a stronger dollar and we saw good demand," said Brian Lan, managing director at dealer GoldSilver Central in Singapore. "Investors and businesses find it's a good time to enter the market to pick up some cheaper gold bar before the market goes up again."